Keyboard Shortcuts to Improve Productivity | Coach Nikki B. If you’ve been at this writing thing for a while, I’m guessing that you are constantly on the lookout for ways to improve your productivity. 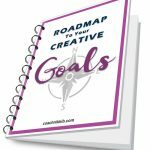 Sometimes, this means you need to focus on the bigger picture including taking better care of your health, shifting your mindset or boosting your creative energy. At other times, making small tweaks to how you work can make a big difference in how efficiently you can get the words out. One of the ways you can become more efficient with your writing is by reducing the amount of time you take your hands off your keyboard to use a mouse or trackpad. Yes, graphical user interfaces and that handy dandy mouse can make things super user friendly, but it is actually a very inefficient way to use your computer. Did you realize there are actually keyboard shortcuts for almost everything you can do with your mouse? 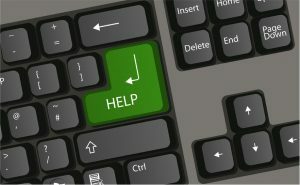 As a blind computer geek, I use keyboard shortcuts all the time, but I’m always learning about new ones that can help with my workflow. Recently, I’ve been wondering how I can do more with keyboard shortcuts in WordPress, and out of the blue, a fellow technophile, Lynette Chandler, posted an article about this very topic on her website. Even if you aren’t the keyboard shortcut type by nature, give it a go just on WordPress and see if it improves your blogging speed. It might be clumsy at first trying to remember them but use them often enough, it becomes a habit you don’t hardly notice you’re using them. Click here to learn some handy hotkeys for WordPress. Keep in mind that many of the keyboard shortcuts Lynette mentions can be used in other programs. Also, if you would ever like to learn what the shortcut is for a specific action on your computer, you can often find the shortcut key combination listed next to the command in the drop-down menus at the top of your screen where you would normally click on it with your mouse. Do you use keyboard shortcuts? I’d love to know which ones are most helpful to you, especially when creating posts or pages in WordPress.